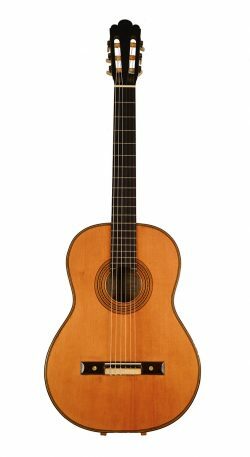 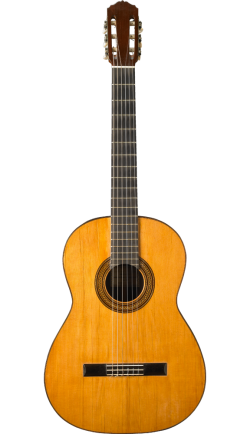 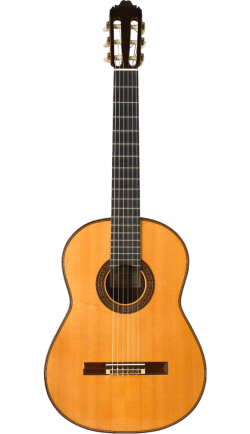 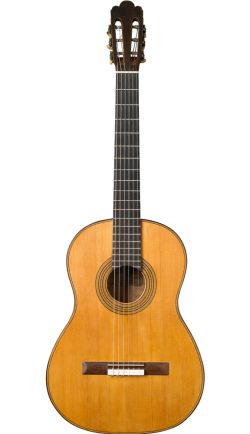 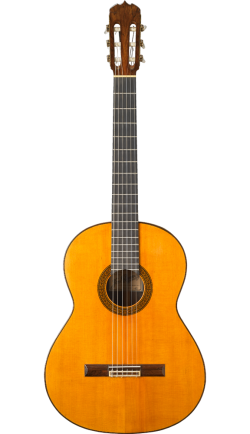 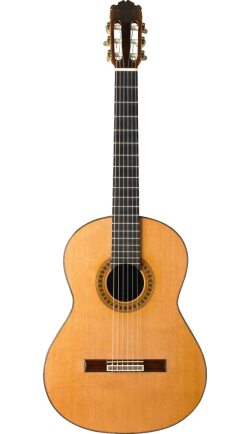 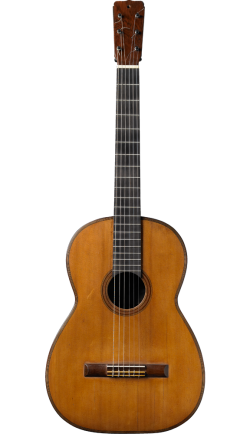 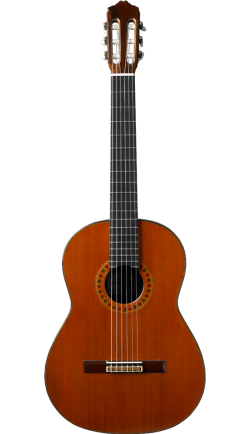 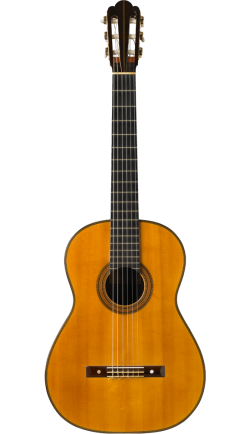 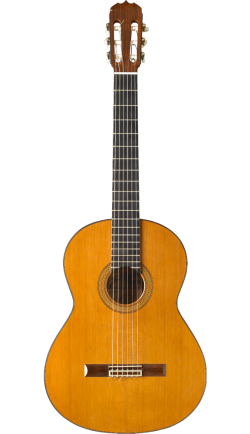 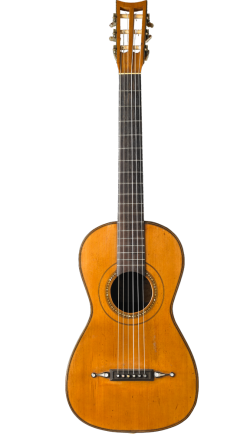 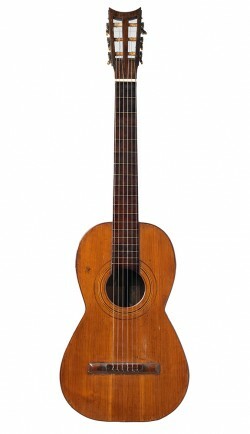 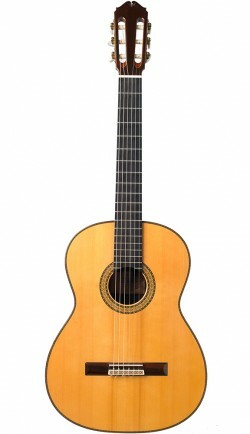 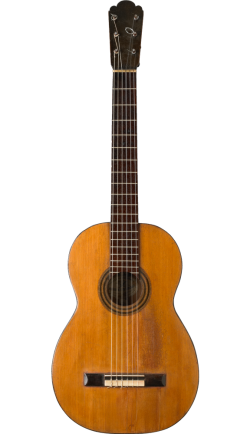 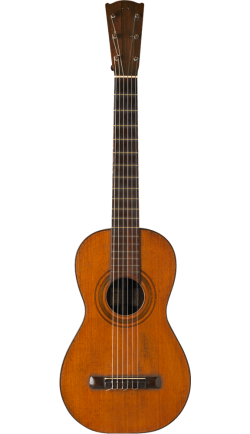 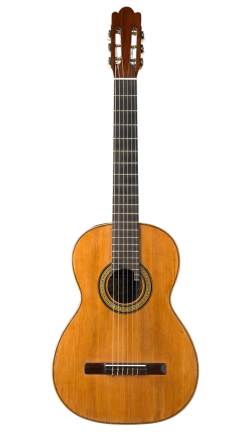 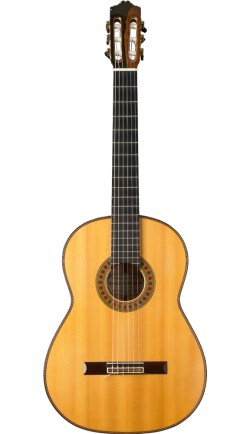 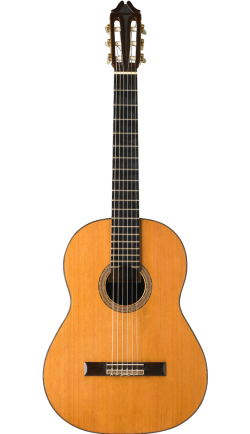 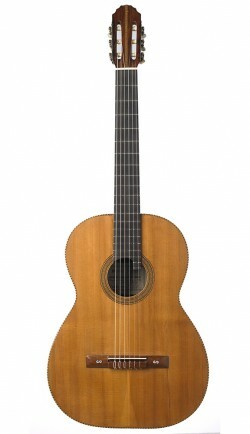 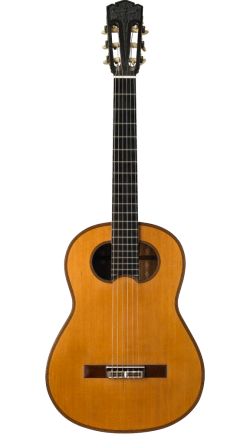 The Harris Guitar Collection features over two dozen instruments made by the great classical and flamenco guitar makers of the 19th and 20th centuries. 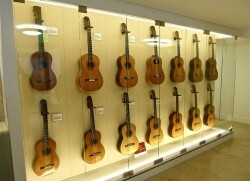 In collaboration with the San Francisco Conservatory of Music, a rotating selection of guitars from the Collection are now on display in a glass display cabinet in the John and Lisa Miller Alcove off the Conservatory’s dramatic Phyllis Wattis Atrium. 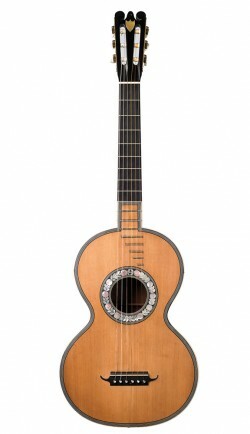 For more about the Collection’s focus see About the Collection. 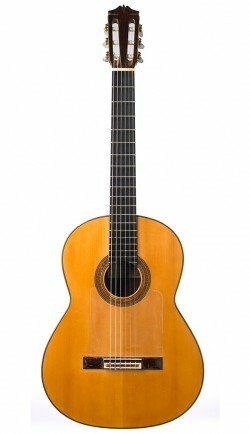 To visit the collection at SFCM contact HGF. 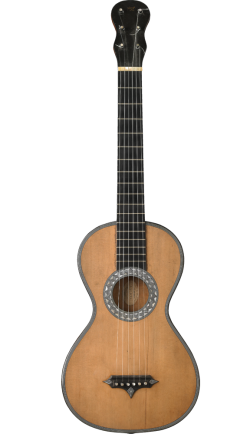 Click on the guitars for descriptions and visual details.